What is Youtube ? How can you earn money from YouTube? 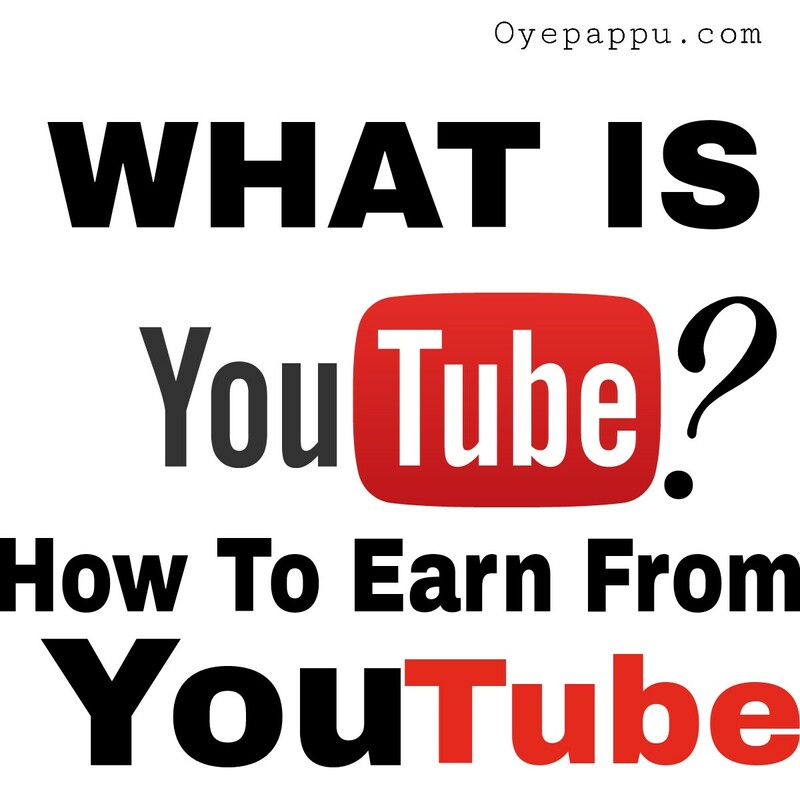 Here is the some information About YouTube And some tips to Earn money from YouTube.WHAT IS YOUTUBE? YouTube is a Live videos streaming Platform. Anyone can Upload and watch videos on YouTube . YouTube was found on february 2005 And The CEO of Youtube is SUSAN WOJCICKI. There are Billions of videos on YouTube. And Lots of Youtubers also exist on YouTube. YouTube is an AMERICAN video sharing website.YouTube is accessible on Every device It maybe a phone or a Computer. While YouTube was found it was not so strict like today . Few months back YouTube has changed its policy And Became very strict. YouTube is neat and Clean There is No 18+ content on YouTube. Recently YouTube has Launched YouTube kids for Childrens by that YouTube has Became more clean and Safe for children.YouTube Is very Convenient to use there is no confusing Icons or something else. YouTube is the Highest video watching website. HOW PEOPLE EARN MONEY FROM YOUTUBE? There are lots of YouTuber on YouTube and they are earning a good amount of money. Anyone can became a YouTuber all you need is just a camera which is available on your phone, and basic video editing knowledge.And You can start creating videos for Your YouTube channel. If Your Content is good then Your views will autometically increase and you can monetize your channel. After Your Monetisation will on and Your adsense successfully approved then your income will automatically generate. WHO WILL GIVE YOU THE MONEY? So After your Adsense successfully approved Ads will show on your videos and the Ad company will give you the money for advertising.So that is how YouTubers earn money from YouTube.